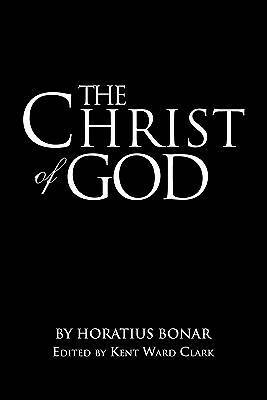 When I was a young pastor, I purchased "The Christ of God" in a used book store in Cincinnati, Ohio. Upon reading it, my heart was immediately touched. The contents of The Christ of God are exactly what Paul meant in the Corinthian letter when he exhorts us to have a "single mindedness" toward Christ.The Bible is a "Him" book and the key to scripture is found in the person of our Lord Jesus Christ. May God use the republishing of "The Christ of God" to take us back to the old gospel of the centrality of Jesus Christ. Kent Ward Clark was born in Lowes, Kentucky, but has lived in Michigan most of his life, where he has been the senior pastor of Grace Gospel Fellowship in Pontiac for 32 years. Kent is also the CEO of Grace Centers of Hope, the largest homeless shelter in Oakland County. He is an international speaker and has authored other published material. Kent is a father, a grandfather and has been married to his beautiful wife, Pam, who he refers to as "the love of my life," for 43 years.